We work to create new recreation opportunities in Sheridan County for public benefit. Access to abundant recreation opportunities is critical to cultivating healthy communities. Whether it be hiking, mountain biking, boating, birding, or just having access to a beautiful and safe place to spend time with your family outside, new recreation opportunities are a win win for residents and visitors. 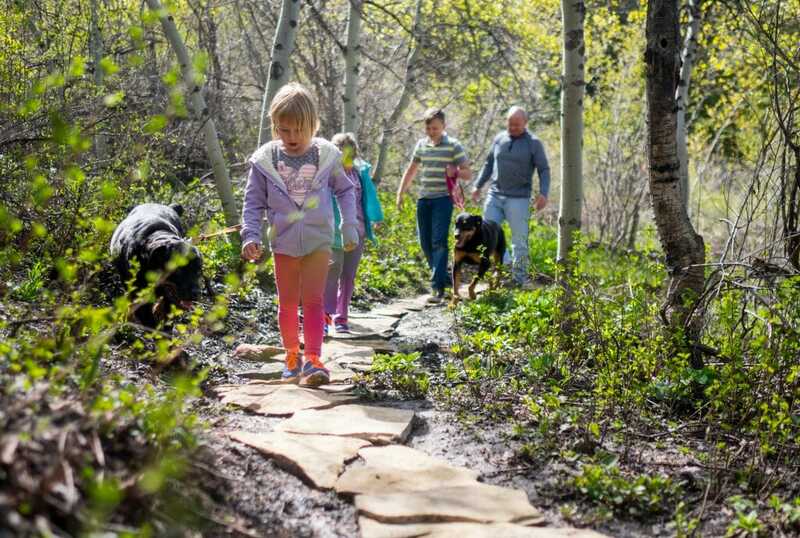 Making it easy for families to get outside and recreate also connects the next generation with the outdoors and makes Sheridan County a more desirable place to live. We are working with the community to build additional trail opportunity for equestrian, biking, and pedestrian use. Stay tuned for more details as the project is reviewed by the Forest Service. Red Grade Trails System is a looping, non-motorized, year-round hiking and biking trail located on State and Bureau of Land Management (BLM) land at the foot of the Bighorn Mountains. 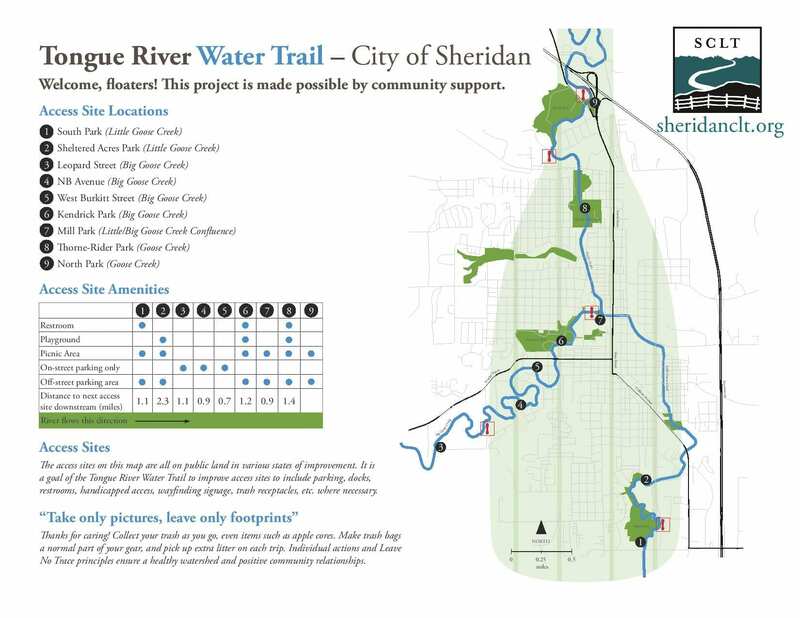 The trail system is funded entirely by grants and annual membership donations to Sheridan Community Land Trust. 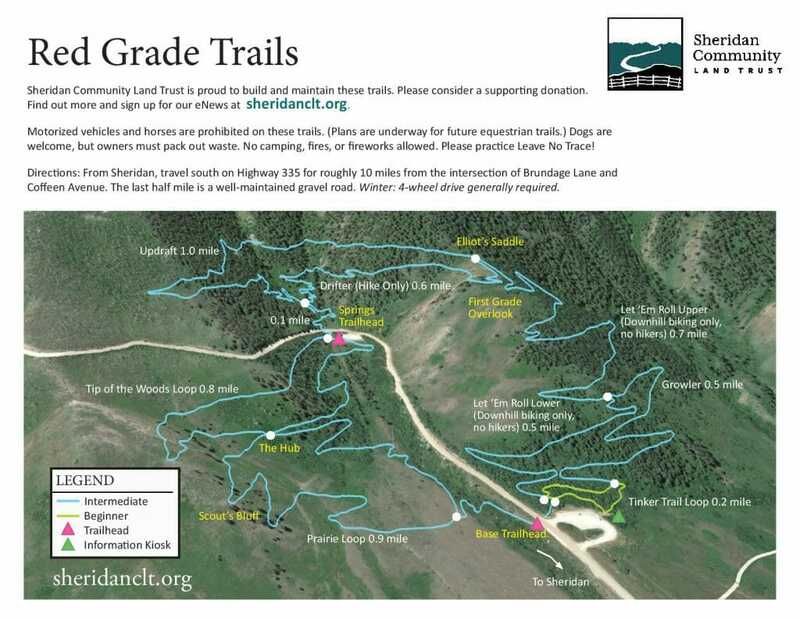 Red Grade Trails start at approximately 7,800 feet and is 5.7 miles in length. It is of easy to moderate difficulty. As you go, you will wind through mixed conifer and aspen forest along the drainage of a year-round flowing stream, switch-back across an open bluff with exposed rock outcropping, sweep down into a prairie grass meadow, and climb up a steep gully to fantastic vistas. 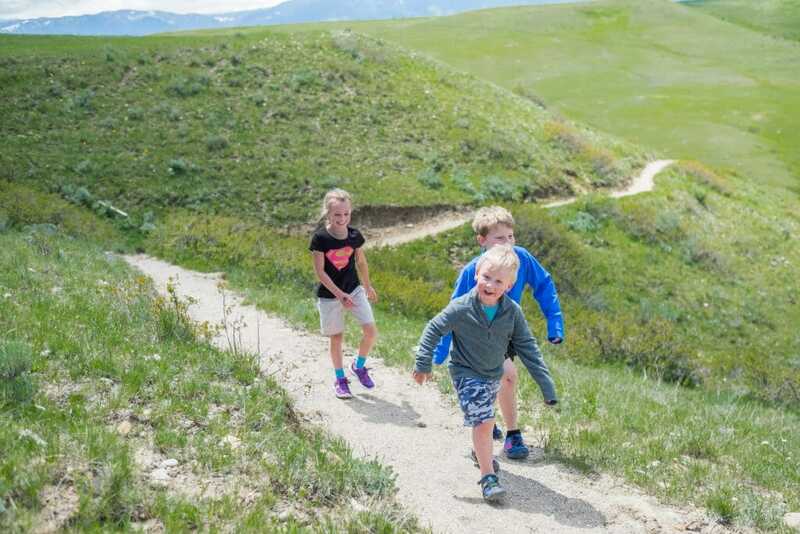 The trail offers stretches of shade in the warmer months, and on clear nights it allows spectacular views out along the face of the Bighorns, the valley and the city below. Additionally, two gravel parking lots are available for trail users at the Base and Springs trailheads. Dogs are welcome, although horses are prohibited on this current stretch of trail. Plans for equestrian and additional biking and hiking trails in the vicinity are underway. Directions: From Sheridan, travel south on Highway 335 for roughly 10 miles from the intersection of Brundage Lane and Coffeen Avenue. The last half mile is a well-maintained gravel road. Winter: 4-wheel drive generally required. Located in the foothills of the Bighorns, this 4-mile, non-motorized trail is perfect for a sunrise walk with your dog, trail run, horseback ride, or mountain bike ride. It offers beautiful 360 degree views and is located convenient to Sheridan. Bring a windbreaker during colder months and extra sunscreen and a hat during the summer as the trail follows the exposed ridge. 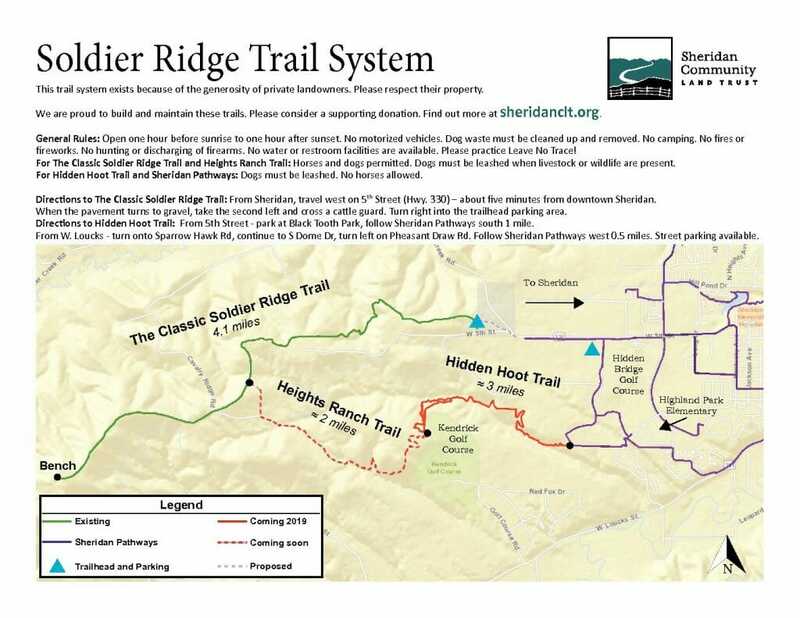 The Soldier Ridge Trail is located where pavement turns to gravel at the end of W 5th St., about a 5 minute drive from downtown Sheridan. When the road becomes gravel, take the second left (first left is a private driveway) and cross a cattle guard. Turn right into the trailhead parking area. The Classic Soldier Ridge Trail is 4.1 miles and w completed in 2013. Ths trail was made possible through generous gifts from the Don Roberts Family and ERA Carroll Realty and was a combined conservation and recreation project. Read more about the two conservation easements that protect 1,154 acres along Soldier Ridge, a prominent landmark, on our Conserved Properties page. In the coming years we plan on developing an additional 5 – 7 miles of trail. In 2019 you’ll complete 2.5 miles as part of the Gillispie Draw Trail. Running from Hidden Bridge Golf Course to Kendrick Golf Course (and connecting to our Soldier Ridge Trail), Gillispe Draw Trail will bring users closer to willows, shrubs, and wetlands all while connecting to City of Sheridan Pathways making it even easier to go from your front door to the outdoors! Directions: From Sheridan, travel west on 5th Street (Hwy. 330) – about five minutes from downtown Sheridan. When the pavement turns to gravel, take the second left and cross a cattle guard. Turn right into the trailhead parking area. 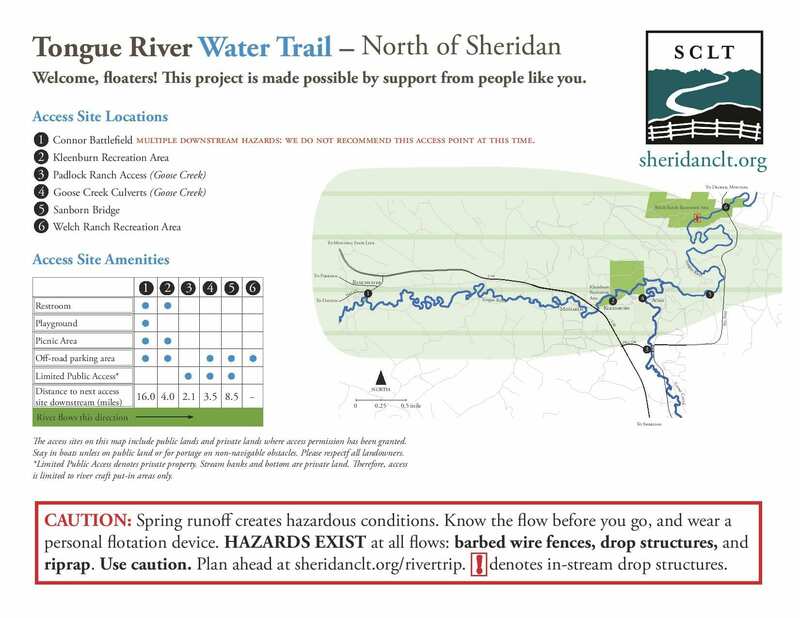 The Tongue River Water Trail is a long-term vision of the Sheridan community to realize improved public access and safe floating conditions of navigable public waterways in central Sheridan County. Click for more information on river condition, location of hazards, and access sites. Approximately 95% of the property within the Tongue River and Goose Creek systems are privately held lands. 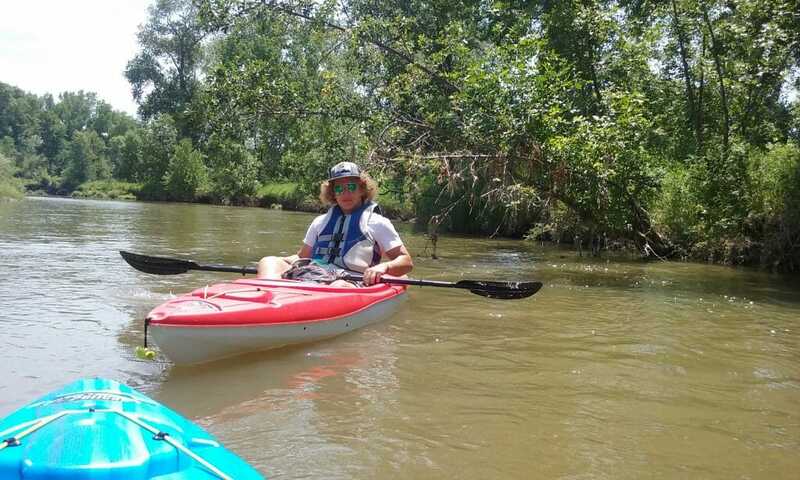 The success of the Tongue River Water Trail depends upon cooperation with private property owners and the responsible use of the waterways by recreationists. Please be aware of private property while floating the river. This can be easily done by assuming that land under the water as well as to the sides is private, unless signed otherwise. Keep in mind that in Wyoming, the landowner owns the banks as well as under the water, so anchoring and walking are illegal, except for portage around obstacles. It is the floaters responsibility to know where they are at all times – again, assume that you will be floating on publicly-navigable water surrounded by private lands where no trespassing is permitted. Do not pull over on private lands. Do not camp, build fires, drop an anchor or trespass on private property. SCLT is working with landowners to improve public access with new access sites, as well as providing limited public access during floats for some river sections. Please do not jeopardize these opportunities by trespassing or irresponsibly using existing public access sites. Please do your part to ensure that access sites and the river stretches are kept clean of garbage and litter. Please report trespassers to the Sheridan County Sheriff’s Department at 307-672-3455. For more information on the history and ecosystem of the river, click here! Liability and Safety, click here.